St. Martin's Paperbacks, 9781250129192, 304pp. Vivien Chien was born and raised in Cleveland, Ohio where she grew up in a mixed-race home, making for some very interesting cultural experiences. She found her love of books and the written word at an early age while writing short stories about her classmates in elementary school. Currently, she writes side-by-side with her toy fox terrier who refuses to sit anywhere else. When she’s not writing, Vivien enjoys frequenting local Asian restaurants, frolicking in the bookstore, and searching for her next donut. 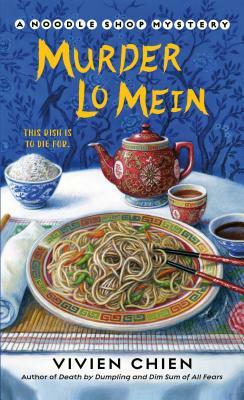 She is the author of the Noodle Shop Mystery series, including Death By Dumpling.